Our meeting in December was a bit of a gamble with the weather, but we had a stunningly beautiful winter day in a gorgeous woodland. 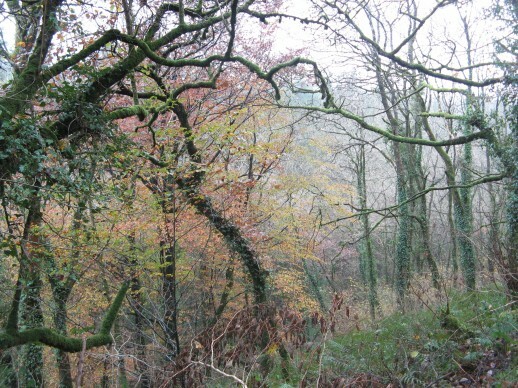 All the latest news from the Forestry Commission’s English Woodland Grant Scheme, managing ancient woodland, claiming payment and news of the recent website changes. Please download from here. The Christmas & New Year newsletter is now available to download from the link below. 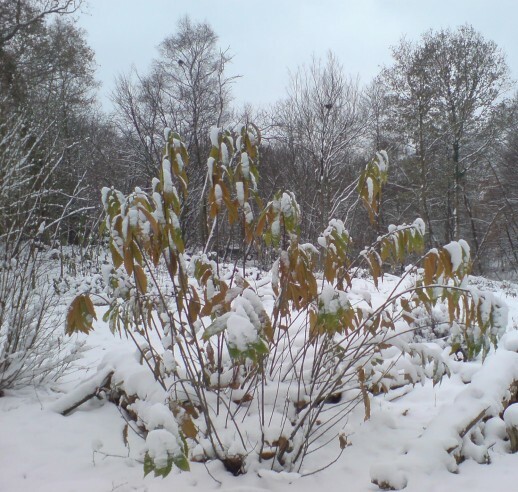 A bumper Christmas and New Year edition of the newsletter is kicked off with some truly seasonal weather. So if you can’t get to work, or even worse, make it to the woods, here’s an opportunity to snuggle up by the fire with a hot drink and enjoy this extended edition. 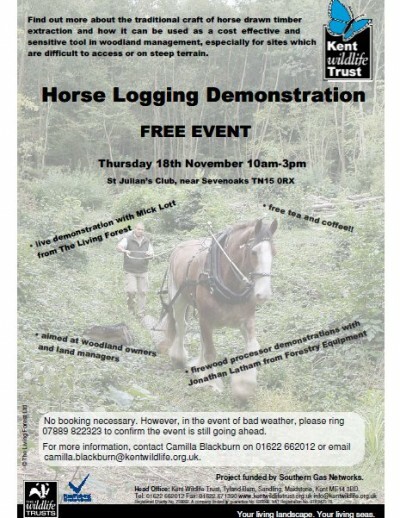 There is a free horse logging event at St Julian’s (near Sevenoaks) on Thursday 18th November and there will also be a firewood processing machinery demonstration from Jonathan Latham from Forestry Equipment. 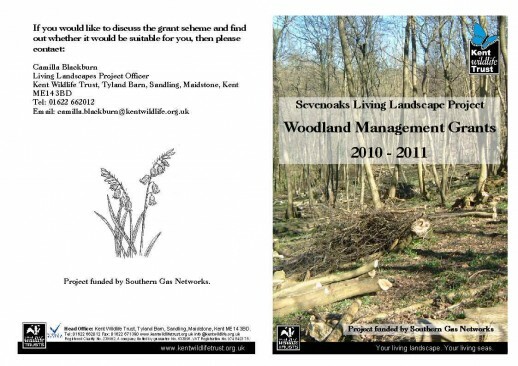 The event is aimed at land managers and woodland owners. 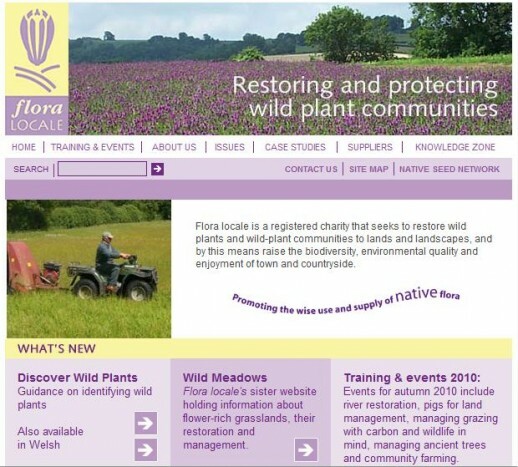 The November newsletter is now available to download from the link below. 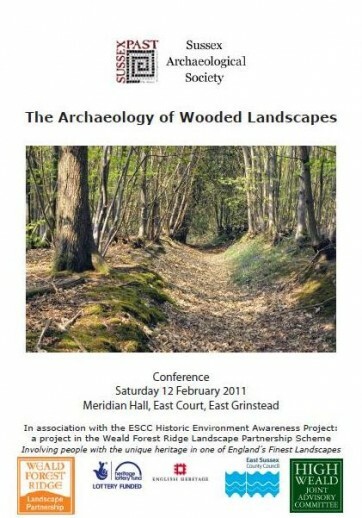 Lyn Palmer, Historic Environment Awareness Project Officer for the Weald Forest Ridge in conjunction with the Sussex Archaeological Society is organising , ‘The Archaeology of Wooded Landscapes’ conference next February. Camilla Blackburn, living landscape project officer with the Kent Wildlife Trust has secured some funding from the Southern Gas Network which will need to be spent before March 2011. 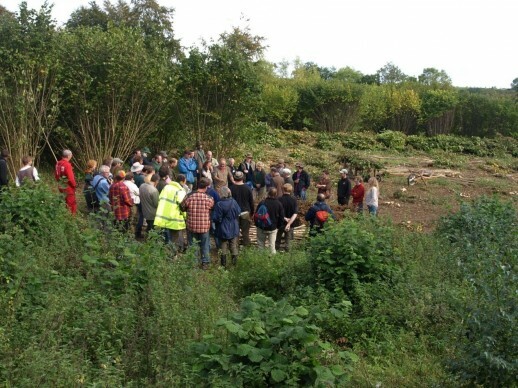 The south east coppice conference report is now out. 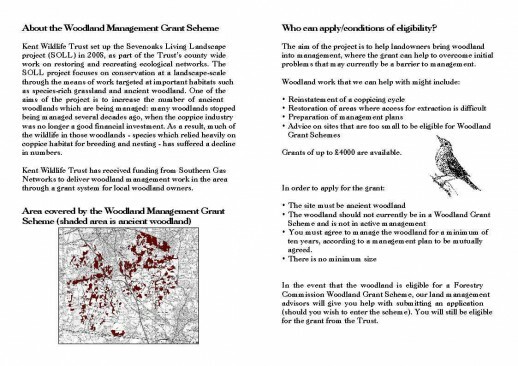 Interesting reading for those in the industry or an interest in woodlands, not just for those in the south east, but across the whole country. Professor Julian Evans very kindly hosted a SWOG meeting at his own wood in Hampshire on Saturday 16th October. As it was very much a ‘hands on’ day, about sixteen members duly turned up, suitably attired and hand tools at the ready! 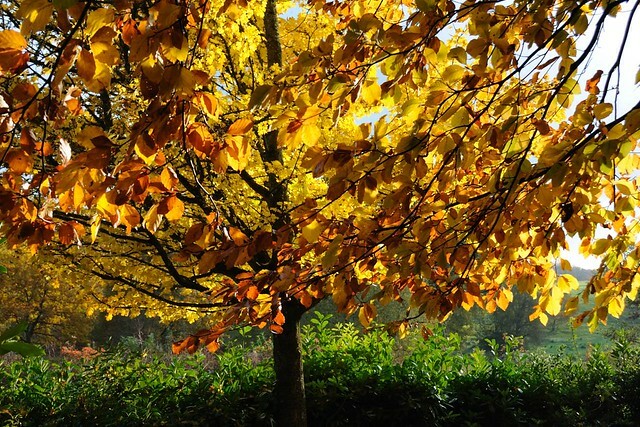 This wonderful day with Colin Carpenter at the Community Tree Trust offers the opportunity to learn how to collect and plant a variety of native British tree seeds to grow your tree saplings for future planting projects. There is a short video explaining the earth burn available on the High Weald AONB website. 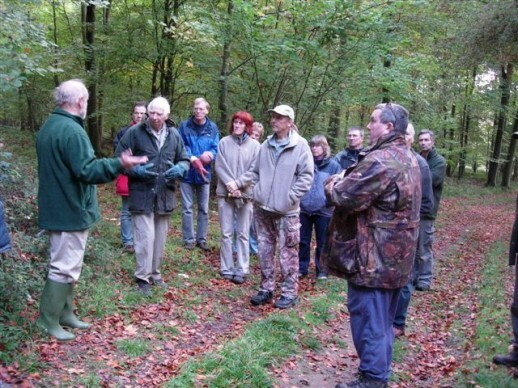 The Sussex and Surrey Coppice Group held a ‘Coppice Week’ on Ashdown Forest last month. Coppice group members, the public and other interested parties enjoyed workshops held by some of the leading craftsmen in the country. There is one last place available on the ‘EcoDiy’ green woodworking day workshop in Essex on Sunday 24th October. 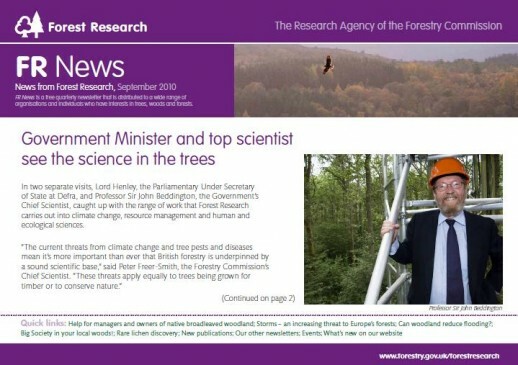 Forest Research’s newsletter FR News is now available, but this time it comes with a big difference. 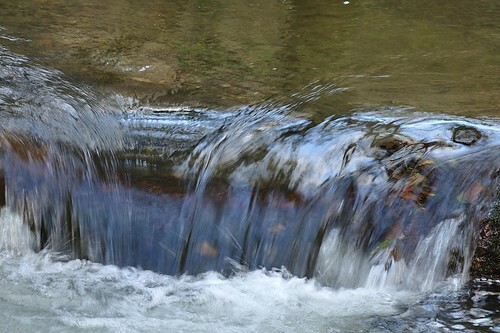 As well as the usual roundup of research highlights, they are now delivering it alongside their more in-depth newsletters on social and economic research, ecology and pathology.